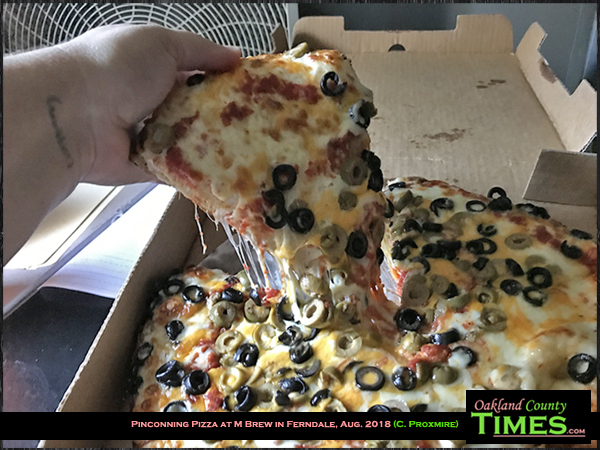 Ferndale, MI – If you like the kind of pizza that is thick, cheesy, and full of flavor, the Pinconning Pizza from M Brew is a must try. The Detroit-style dough and gourmet blend of cheeses that includes Pinconning cheddar make this pizza amazing. 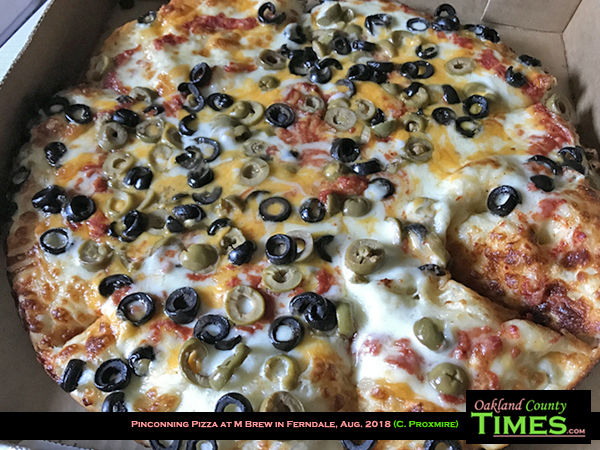 I get mine topped with green and black olives but there are many toppings to chose from. 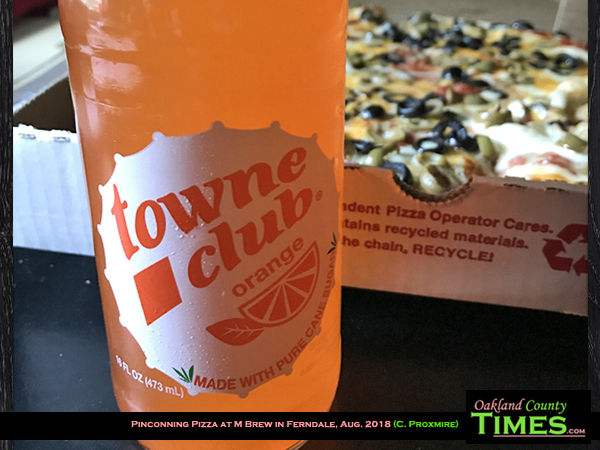 M Brew also has Michigan-bottled Town Club Soda, as well as a nice selection of Michigan beers. And they have Michigan favorites like Bruce Crossing pasties, Antipasta Salad made with Dearborn salami, Grand Traverse Vineyard salad with Traverse City cherries, and Detroit style coneys.